Blinds, shades and curtains can even subtly improve the dimensional limitations of your space, making windows appear larger and ceilings higher. When poorly matched or fitted, however, they work against all the things that you want in your home: comfort, privacy, atmosphere and style. Our professional consultants have seen it all when it comes to window treatments, and we can help you navigate the possibilities and the pitfalls. For starters, here are three mistakes to avoid when choosing your blinds, drapes and shades. Different rooms ask different things of your window coverings. Kitchens and entryway mudrooms need window treatments that can be easily cleaned, for example. You most likely don’t want to put honeycomb blinds behind your kitchen sink, or near a stove. Bathrooms, along with utility or laundry rooms need materials that won’t warp due to moisture. Alternative woods like Everwood – guaranteed not to yellow, warp, or bow – can be just the right thing for these spaces. You can almost always find the right material for the job without sacrificing your sense of style. Just make sure that you get some advice on your options, learning how each one will interact over the long-term with the way the room gets used. Many people assume that their window treatments should be hung very close to the top of the window. This tends to compress the size of the window, and also brings the eye down, which makes your space look smaller. Instead, a good guideline is to go up much closer to the ceiling or molding— within an inch or two. In short, hang your hardware high. Doing so makes the most of the space between the window and ceiling, which otherwise tends to be overlooked and underutilized. Aiming up will elongate your windows and give a sense of spaciousness to the room by making the ceiling appear higher. If you are incorporating curtains, a related principle is to make sure that they’re not cut too high. The ideal is that curtains extend to just barely above the floor, clearing it by a quarter-inch or just slightly more. You can achieve a romantic, Old World effect in certain rooms with curtains that “puddle” on the floor; however for reasons of safety, cleanliness, and unnecessary wear or damage, be sure that these are spaces that are never occupied by pets or children. As noted, different rooms may need different treatments depending on your taste and on what the rooms themselves require. One thing to watch out for – and that it’s easy to forget until it’s too late – is how your home appears from the outside. For each face of your home, and really for any vantage point that can be had on it from outside, you want to have a consistent look. You don’t want to be looking back at your home from the backyard or the street and see five mismatched types of window treatments. Eclectic can be a great style on the interior, but you don’t want a “patchwork” appearance to cause your home to lose curb appeal. This is not an issue if you’re able to go with the same style of blinds, shades or curtains throughout your home. But if you have different styles or types in some of your rooms, be sure to work with a professional consultant to help you achieve as cohesive a look as possible when seen from the outside. There are solutions to be had, such as drapery backings, louvered blinds, or shades that all share the same colour. There are many other pitfalls that professional consultants who know window treatments can help you avoid. They’ll help you define and choose ideal proportions and measurements, sort quality materials from inferior ones, and help you see through sketchy warranties with holes in them. At Arlene’s we offer a wide range of draperies, fabrics and window treatments, with a special focus on the excellent options produced by Hunter Douglas, a world leader in blind and shade technology. Hunter Douglas has thousands of fabrics and colours that add livability and beauty to your home, along with solid warranties and long-term functionality like antimicrobial fabric protection. Visit one of our showrooms or click here for a complimentary consultation. We look forward to helping you make the most of your windows! Are Window Coverings the Best Investment You Can Make in Your Home? Whether it’s called “buy it once” or “buy it for life,” there’s a growing movement to buy quality, well-crafted products over disposable ones. Lasting, high-quality products ultimately save you money and create less waste. That’s a win-win for your budget and for the environment. Of course, this only works if you can find products that you love enough to keep for many years! Window treatments are an excellent “buy it once” option. At Arlene’s, we believe in doing it right the first time, and all our Hunter Douglas blinds and shades come with a lifetime guarantee. But why should you pay particular attention to investing in quality window treatments? Here are five considerations when you’re selecting blinds, shades and draperies for your home. You don’t want your blinds scraping the casement in your kitchen, or your shades to hang short in your living room. And if you have young children, you definitely don’t want their blackout curtains to leak light and cause them to wake up too early – so they end up waking you too early! Blinds, shades, sheers and other treatments are there to give you control over how light enters your space. They can filter light, block it, or allow it inside in all its glory. To do this, they need to fit. 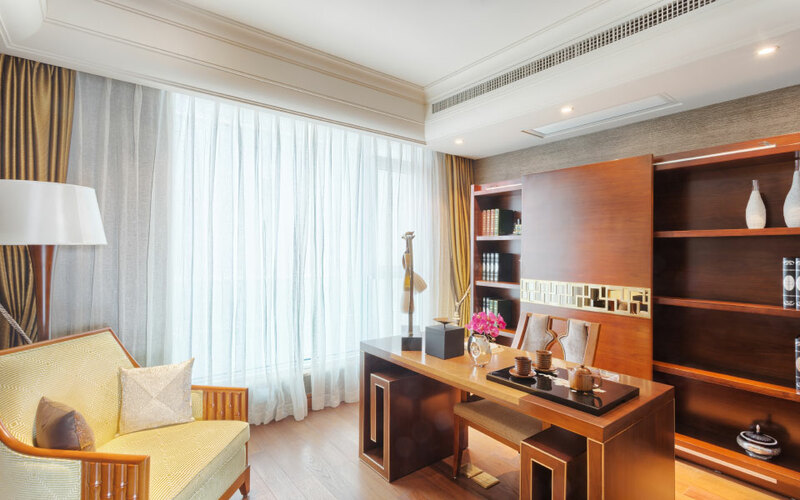 Getting your window treatments professionally tailored – so that they fit your home’s precise specifications – ensures that they will do what they are designed to do. When exploring your interior design options for your windows, look for brands, outlets and showrooms that offer customized products. Furniture, carpets, fine rugs, antiques, and paintings all have something in common: they can all be damaged by the sun’s ultraviolet rays. Blinds and shades are a big help in preventing the discoloration and fading caused by glare and direct sun, and there’s another elegant solution: professionally installed window films. These are excellent for spaces where you want to have natural light filling the room most of the time. Our window films come in a variety of shades. They not only reduce glare, but block more than 99% of all UV radiation entering your home using their patented UVShield® technology. These films protect all the valuables in your home that are vulnerable to ultraviolet rays. They also have a safety aspect that offers additional peace of mind: if an accident or storm should break your window, window films can help protect you and your family by preventing the glass from shattering. Are your window treatments family friendly? Hunter Douglas offers a wide range of child-friendly (and pet-friendly) window treatment systems that eliminate entanglement issues. Their options for cordless manual systems and retractable cords— and even motorized blinds and shades that can be operated by remote control— offer the highest standards for safety while providing a clean, uncluttered appearance wherever they’re installed. With so many styles of window treatments it can be hard to make decisions. Blinds vary in slat width, material and colour. Shades come in several different types, from roller shades to Roman shades to honeycomb (also known as cellular) shades. Many can be combined with draperies for looks that range from contemporary to classic. All of these are high-quality options, but it takes time to figure out your best choice. None of us have unlimited time – so what do you do when you want to make a home decorating purchase that will last? Professional design consultants like those at Arlene’s can give you a big head start. They’ll help you cross off some options and zero in on the styles that you love, as well as the types of window treatments that best suit the various rooms of your home. Blinds, shades and draperies filter or block the direct sunlight that can heat up your home in warmer months. By moderating bright light and heat they help keep your rooms at the right temperature. That’s a well-known summer benefit you can count on from your window treatments, but it’s less well-known that in the winter they have a more literal pay-off: they save you money by cutting down on your energy bill. Blinds and honeycomb shades help insulate windows, providing a buffer that keeps cold air from chilling the rooms of your house. This means less heat that you have to pay for – a win for your comfort level and your cheque book. At Arlene’s our job is to give you all the help you need in finding the the perfect solutions for your home. Come check out our Lower Mainland showrooms, or set up a complimentary consultation for solutions that will pay dividends for as long as you live in your house. That’s a promise you can invest in! Redecorating your space? Ready to update the living room, or change the way your entire home looks and feels? When you’re making a fresh start, take the advice you’ll hear from any professional decorator: don’t neglect your window treatments. 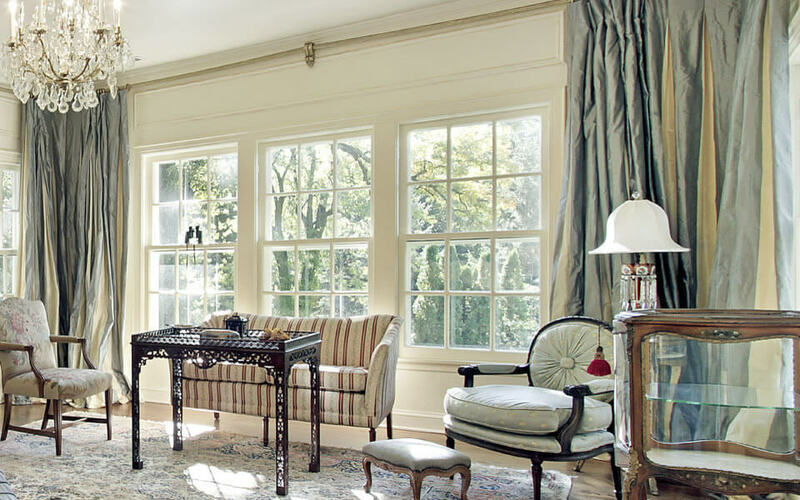 Windows are the soul of your interior spaces. In every room, the treatments you choose for them – blinds, curtains, or shades – will enhance and transform your space, altering light, colour and mood. Here are five window treatment tips to consider when redesigning or redecorating in your home. If you want to make your ceilings look higher, buy floor-to-ceiling curtains that are custom tailored to your room. They draw the eye up and down, and lend your space a feeling of tallness and height. Make sure that your curtains reach the floor or come very close, to within a half-inch to a quarter-inch. Depending on your tastes, you may prefer that your curtains not only reach the floor but “break,” puddling with an overlap of one or two inches. This can be an elegant option, depending on how the room is used. If you have small children or pets that might trample on it, it’s best to keep the curtain just above the floor. Tip #2: Blinds or shades? First, what’s the difference? Blinds are made of hard vanes or slats that “stack” when pulled up to reveal the window. Shades are generally made of one piece of soft material. Roller shades (you guessed it) are drawn up onto a roll, while honeycomb shades – also known as cellular shades – are gathered up or down. Blinds are an excellent choice in your newly decorated space if you want to be able to control the amount of light coming into a room. You can open the adjustable vanes in the morning to let in daylight, or close them in mid-day to block too much hot sun. Wooden-slat blinds, especially those with wide slats offer a classic appearance that will go well with a summery, tropical aesthetic. If you’re going for a cooler, more modern look, try neutrally coloured blinds with thinner slats. Shades can do something that blinds can’t: they can soften and alter the tone of the light coming into your room. Honeycomb shades, like those in the Hunter Douglas Alustra® collection, come in a curated variety of design-inspired textures and colors to suit your furnishings and interior palette – and by trapping air they also offer an insulating quality to mediate temperature. Laying out a new look in a room with sliding doors? Traditionally these are well-matched with vertical-slat blinds to match their orientation, but you can also consider a more contemporary look with gliding track window panels. Track panels are lightweight, and slide easily. The Skyline® series of gliding panels by Hunter Douglas comes in over 600 fabric styles and woven textures to match any aesthetic. When choosing shades to match your new interior you can opt for a neutral color, or go for a shade that matches the colour that is most dominant in the room. Hunter Douglas shades come in a wide variety of hues and colours, allowing you to achieve a great match. In an intimate bathroom space, you can match your shades to your coloured trim, and even your towels! Professional consultants like those at Arlene’s can help you navigate all the options. Remember that you don’t have to choose between shades and curtains: you can have both. You can give your room a pop of colour with curtains while relying on neutral roller shades to mediate light. Windows come in all kinds of sizes and in so many locations—and some are trickier than others. Take arched windows, for example. They are beautiful and attractive, but sometimes they require shading, particularly if located in a bedroom. You can try pleating a sheer covering from the bottom center of the arch and fanning it out to soften the light— and on the lower, rectangular portion using another style of window treatment that complements it, like Roman shades. Dormer windows and window seats can be made more attractive with the addition of Roman shades as well, or a combination of woven shades and curtains. There are so many kinds of windows to work with: corner windows, bay windows, cathedral windows. Windows in your utility room, even in your shower. Our professional design consultants can assist you in finding solutions for them all, no matter how tricky. Let us know how we can help make your new design everything you want it to be! You can give us a call, drop into one of our showrooms here in the Lower Mainland, or click here for a complimentary consultation. Feeling a little overwhelmed with your choices of window blinds and shades? Choosing a window treatment to suit your home and taste can be daunting at first— but don’t worry! We’re here to help. First, let’s look at the purpose of window treatments and some of your options. These are all very important functions. But perhaps most important is how they work with light, and your own decor, to create the style and atmosphere you want in your home. Shades and blinds can make rooms look more spacious, and turn direct sunlight into ambient tones. Depending on what you choose, they can make your rooms feel cozy or ethereal, modern or classic, cool or warm. The most important thing to look for in your window treatments is that they suit your taste, and that they’re high quality. At Arlene’s our consultants can help you find the window treatments that are perfect for every room in your home. Here are a few things to consider before choosing the ones that are right for you. When it comes to home decor and windows, your guide throughout is your own sense of style. Certain window treatments can give a room a classic look, such as plantation style wood blinds. Roman blinds can be classic or contemporary, depending on the type— some look warm and luxurious, others natural and organic. Sheers, roller shades and honeycomb blinds tend to lend a room a clean, contemporary look. They can be found in neutral shades that focus on function, or in colours that complement your furnishings, rugs, or art. What’s your style? Classic or contemporary, country or eclectic? Remember, you can vary your style in different rooms. Maybe you want sleek blackout shades in your media room to complement a modern feel, and woven wood shades in your dining room to a give warm, “heritage” impression that will complement that antique dining table. The choices are all yours, and we can help you find the window treatments that will match your vision for each room. Whatever your style, be sure to seek out high-quality fabrics and window systems that will last— and that can be easily cleaned and maintained. You don’t need to sacrifice function to get great style, but you do need to think about the size, type and placement of your windows. In terms of size and type, not all windows are the same: they’re made to be used in different ways. Some windows don’t open at all, while others slide open, and others lift. Some are constructed in hinged casements that open with a crank. Also, think about context—where your windows are, relative to the outdoors. Does that big window in the back of your house let in direct sunlight, or is it shaded by trees? Does it open onto your private backyard, or is there a public pathway or neighbour’s house directly across from it? So many types of windows, and so many places they can be situated! The good news is that there are blind and shade solutions that suit all of them. For large bay windows in your great room or living room that don’t have much light exposure— and don’t open onto public view— you may want to go with a drapery solution that stays open most of the time. For large windows that do receive a lot of light throughout the day, or that open onto your neighbours’ homes or public spaces, explore your options for roller shades and honeycomb shades or another type of blind. For example, the Silhouette window shadings by Hunter Douglas feature soft adjustable fabric vanes, which appear to float between two sheer panels. They do a beautiful job of diffusing harsh sunlight and adjust easily. Do you have single-hung or double-hung windows, in your kitchen or elsewhere? These are windows where the sash is in two parts, and either one (or both) of them can slide up and down to allow in a refreshing breeze. Cellular shades and sheer shades can work well with these, offering a clean and elegant look while raising fully out of the way to allow in fresh air. Casement windows can be paired well with wood blinds or Roman shades, among many other styles of blinds, as they can be easily moved to operate the crank. If you have sliding doors, the sometimes cluttered nature of their appearance—along with the amount of light they let in—can be reduced with vertical blinds. Here you have a choice of either slats or a more contemporary, urban look of sliding panels, like the Hunter Douglas Woven Textures series, which features elegant design-inspired fabrics, colors and textures. With all the types of windows, and all the choices available to you— blinds, shades, sheers, films and draperies— there are a lot of questions to ask! Whether you’re feeling confused, overwhelmed or just excited by the possibilities, we’re here to help. You can start by clicking here for a complimentary consultation, or you can give us a call or visit one of our Lower Mainland showrooms. We’ll be delighted to help you find the right solutions wherever you need them—for one room, or your entire home. Can Blackout Drapes Help Your Kids Thrive? Blackout drapery can help children who are having difficulty getting the sleep they need. When kids don’t get enough nighttime rest— whether they can’t fall asleep, wake often during the night, or get up too early—it can affect their moods, health and development. “Sleep is food for the brain,” says the National Sleep Foundation. So how much sleep is enough? School-aged children need between nine and 12 hours of sleep at night. Unfortunately, many kids begin trending toward greater and greater sleep deprivation as they get older. One survey of kindergarten through fourth-grade kids found that 10% of them were falling asleep in school. Another study found that only 15% of teenagers reported getting more than eight and a half hours of sleep on school nights. Lack of sleep can also lead to increased use of unhealthy foods containing sugar and caffeine as kids try to perk themselves up. More significantly, a lack of sleep leads to dangerous accidents. More than 100,000 car accidents happen annually due to drowsiness and people falling asleep at the wheel, according to the National Sleep Foundation. So how do we help ensure our kids get the rest they need? As you might imagine, light is a key factor in sleep. “Light is a powerful guide for your body,” says the National Sleep Foundation, in their guide to getting a good night’s rest. Humans evolved before the advent of artificial lighting and electricity, and our rhythms of waking and sleeping are oriented to work with the light of the sun. Morning sunlight activates our bodies and minds, waking us up and bringing alertness and energy. Darkness, on the other hand, triggers the body to release sleep hormones— melatonin—that prepare us for sleep. Our muscles relax, our body temperature gets lower and we start to feel drowsy. Melatonin levels tend to peak in our bodies in the wee hours of the night, around 3 a.m. However, working with our body’s natural rhythms, and allowing for the real darkness that sends sleep signals to our brain, is difficult when we live in homes that can be perpetually bright 24 hours a day. It’s also made more challenging by our outside environments, which can be illuminated throughout the night by streetlights, signs and other lights. At night, the stimulation and alertness that light creates in us works against us, posing a problem for healthy, refreshing sleep. There are many ways to help your children get the sleep they need. Consistent bedtime routines can help, as well as limiting their exposure to bright screens (phones, tablets, computers, television) in the hours before they go to bed. Blackout draperies are also critical for ensuring kids—and the rest of us— get good sleep. Blackout window treatments create the ideal sleeping environment by blocking virtually 100% of incoming light. They’re perfect for kids’ rooms, and for all of us who are sensitive to light coming into our rooms from outside. They’re also great for shift workers who must sleep during the day, for light sleepers and of course for home theatres. Blackout lining is made of poly-cotton cloth, which is then coated with an acrylic foam and made opaque. Fine hotels use this same material in their blackout drapery. Blackout draperies provide excellent privacy, keeping out unwanted light and reducing noise from exterior sources like traffic. They can also help insulate your home, keeping it cooler in summer and warmer in winter. In most homes, 10-25% of thermal energy loss is from windows. The right window treatments will reduce your energy bill, keeping rooms where they’re installed cooler in summer and warmer in winter. Blackout window coverings can also improve your entertainment experience. They’re perfect for home theatres with projector televisions, providing a dramatic difference in picture quality. Best of all, you won’t have to give up style to get these benefits. Seen from inside, our drapes and roman shades made with blackout linings look like any other window covering. Medium to heavy fabrics—which are able to take the liner’s extra weight — are your best choice when using a blackout lining. The backing can cause light-coloured or neutral fabrics to take on a grayish hue, so try to choose a fabric with a deep enough colour to hide the blackout liner. To block the maximum amount of incoming light, and create the perfect indoor environment, be sure to take good measurements and fit them correctly to the window. At Arlene’s, we have a wide range of blackout-friendly fabrics to choose from, and our knowledgeable staff will help you make the best choice for each room. If you want to block out light at night, reduce noise, and increase energy efficiency, we’ve got the solutions you need— and we’ll get them for you with quality and style. Give us a call, visit one of our Lower Mainland showrooms, or click here for a complimentary consultation. We’re here to help! Choosing window treatments is one of the most important design decisions you can make in your home. Blinds create the lighting and atmosphere you want in different seasons and at different times of day and are instrumental in regulating temperature—keeping rooms cool in summer and retaining heat in winter. They reflect your own taste and style as they filter light and prevent glare. But which ones should you select for the various rooms in your house when there are so many options to choose from? Our professional staff at Arlene’s will help walk you through your choices of Hunter Douglas blinds and window shades, letting you know the pros and cons of various types as well as the styles and colours on offer. To get you started finding the best blinds, here are answers to some common questions about the differences between window covering types. Blinds, Shades and Sheers— What’s the Difference? Generally speaking, blinds are made of slatted, adjustable vanes that you can adjust to let in light. They can be oriented horizontally or vertically, and are made of hard materials like wood, aluminum or, as with the unique Hunter Douglas EverWood®, a synthetic polymer made to resist warping and fading. Shades, on the other hand, are made of softer materials, in one continuous piece with no gaps. These can be made of fabrics of just about any colour or type—cotton, linen, or synthetics. They are usually raised up or down by winding on a top-mounted roller dowel, but, as with Roman shades, they can instead gather at the top of the window in large, attractive pleats. Sheer blinds, like Hunter Douglas Luminette® or Silhouette® window treatments, incorporate specially crafted sheer fabrics. Window sheers transform harsh sunlight into a beautiful ambient light and can bring an ethereal quality to rooms that have large windows or sliding doors. Should I Choose Blinds or Shades? Your personal taste will be the guide here, and our decorators can come to you to do an in-home consultation to help you make an informed choice. Blinds offer a range of adjustment levels— the slats can be shut tightly for privacy and blocking light, or tilted to let in as much light as you like. They can also be pulled up completely to the top of the window, fully opening up the view. If you choose blinds, the slats tend to come in three sizes: 1/2-inch, 1-inch and 2-inch. The wider slats give a classic look, like plantation shutters. Thinner slats offer a more sleek, contemporary profile. The 1-inch slats that are in the middle split the difference, and are often your most affordable option. Shades, because they are made of one piece of material, are either up or down— they have no adjustable slats. Depending on the fabric you choose, however, they can block almost all the light, or allow a softened light to shine through. Hunter Douglas honeycomb cellular shades, like their Duette® style, are also engineered to provide energy efficiency in cold or warm climates. Also known as honeycomb blinds, they trap air in their pockets, insulating your window areas and helping lower energy bills. What are the Pros and Cons of Horizontal Blinds versus Vertical Blinds? There are some practical things to consider when choosing between vertical and horizontal blinds. Vertical blinds tend to work better with very large window areas, as with sliding doors. Sliding doors open from side to side, so vertical blinds that mimic that movement are a good choice. Like horizontal blinds, vertical slats can be opened to let in light, or they can be moved all the way to the side to allow an unobstructed view. They are easy to keep clean and dust-free, and vertical blinds made of softer fabrics have the advantage of being noise-free when sliding doors are opened to allow in wind. Another option for large window areas and sliding doors are panel track blinds, which give a sleek and contemporary look. The Hunter Douglas Skyline® gliding window panels are an excellent option that comes in over 600 roller and screen-style fabrics. What’s the Deal with Motorized Shades and Blinds? 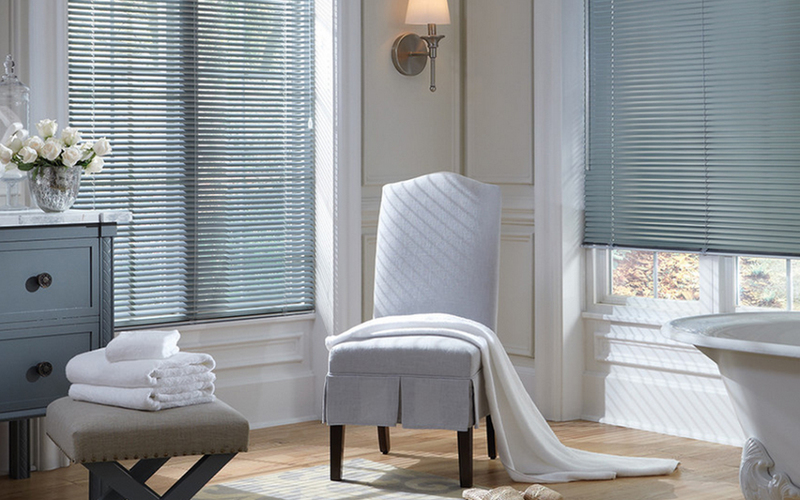 Arlene’s can add motorization to virtually any window treatment. Motorization units offer remote controls to raise, lower, tilt or draw your window coverings. They are especially handy on tall or hard-to-reach windows in areas like stairwells or great rooms. These systems bring a new level of customization: you can program them to remember where you like your blinds set— at halfway or two-thirds covering your window, for example— and return them to that setting with a click of a button. Motorized systems can be installed via a wall switch, or via a wireless system. You can even choose a system that allows you to control them with an app on your smartphone. You’ll be able to raise or lower individual units, or you can select a group (or groups) of window coverings to move together— even in multiple rooms. Motorized systems are surprisingly affordable, and can be created with no additional electrical wiring. Talk to us about which one is right for you. One Last Question: What are Window Films? Professionally installed window films greatly enhance the energy efficiency, look, and functionality of your windows. Window films reduce glare by up to 87%, making it easier for you to watch television or work on a computer. They also protect you and your family by holding shards together in the case of an accident or storm shattering your window. Window films also protect the rest of your home. Most fabrics, furnishings and artwork can be damaged simply by allowing daylight to pass through an untreated window. By blocking more than 99% of all UV rays, window films with UVShield™ technology are made specifically to protect your home, preserve the colour of your furnishings, fabrics and carpets, and help protect fine antiques, woods and works of art from discoloration and fading. At Arlene’s our window films are available in a variety of light and subtle shades— so you’ll be able to enjoy your view without even knowing it’s there. Come in to Arlene’s Today — and Visit our New Website for 10% off on Arlene’s New Furniture Offerings! Visit our Burnaby and Langley showrooms to learn all about your best choices for window treatments. We’ve been here for 35 years and we are the experts in Metro Vancouver not only for window coverings but also for bedding, and now for furniture as well! Our just-launched website now features hundreds of new furniture items. To celebrate our anniversary, we’re offering ten percent off any furniture purchase on our website—and we’ve expanded to delivery offer to Vancouver Island and the Okanagan. We look forward to helping you make your home everything you want it to be! Your go-to home decorating destination has just launched a new online furniture store to offer you more! Thanks to customers like you, Arlene’s Interiors is now celebrating 35 years as Metro Vancouver and the Fraser Valley’s first choice for blinds and draperies. We wanted to make our anniversary memorable, so with our customers in mind, we’ve gone all out. Our new, just-launched website now features hundreds of new furniture items — and expanded delivery to Vancouver Island and the Okanagan. In place of a slice of cake, we’ve got something even better for you: ten percent off any furniture purchase on our newly expanded website. 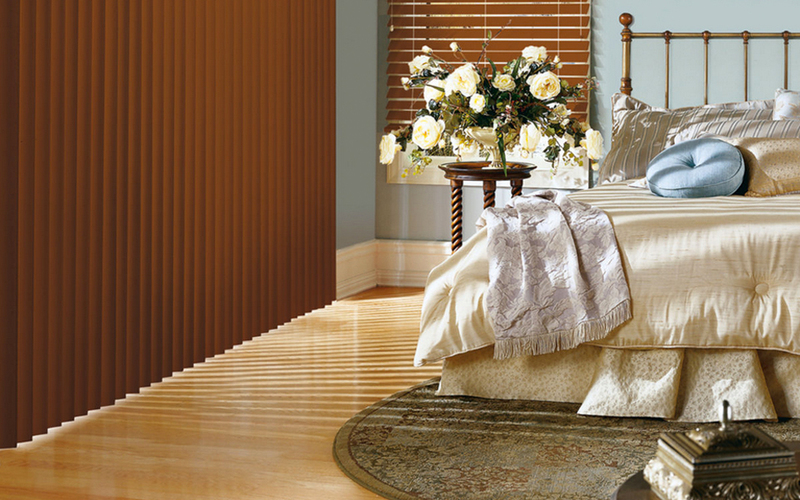 Since 1983, Arlene’s has offered the very best in Hunter Douglas blinds, window shades, tailored drapes, bedding and upholstery. Locally owned and operated, we’ve always been the better choice over big-box retailers. 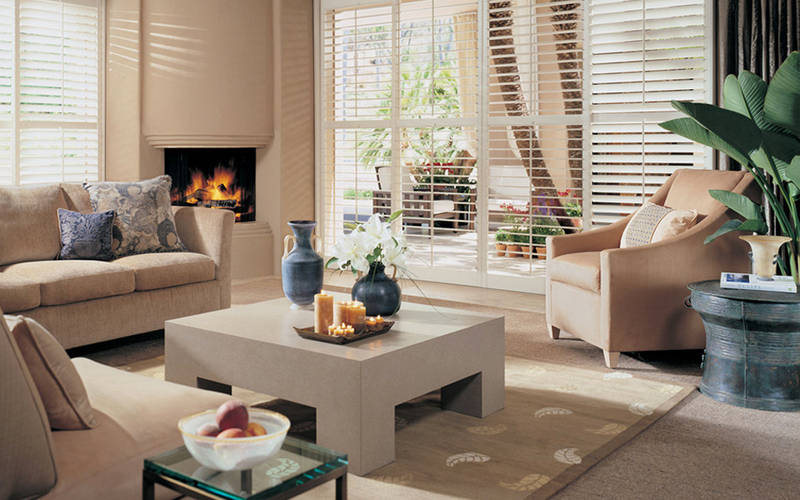 Our business was built providing home and professional decorators with the perfect fit and functionality of custom Hunter Douglas window coverings—from Roman blinds to interior shutters to motorized shades— superior in so many ways to “off the shelf” products. Now we’re building on that legacy of style and quality by offering contemporary furniture that will make you love where you live. They’re all available at our revamped website. And don’t worry: our Burnaby and Langley showrooms are still here and better than ever. At both locations, you’ll find a wide selection of window coverings and bedding that includes honeycomb blinds, custom blackout shades, made-to-measure curtains, duvet covers and more. You want your home to reflect a timeless design that’s uniquely your own. From stylish floor lamps to beautiful poufs, from coffee tables to king-sized beds, we have the top brands and styles you’re looking for. And lots, lots more— accent tables, headboards, console tables, patio furniture— more than we can talk about here! It’s a world of smart, functional and beautiful design at your fingertips, available 24/7 for direct order. Our just-launched website makes decorating your home a joy. You can filter products according to what you’re looking for, sorting by colour, material, price and brand. Whether you’re doing the decorating yourself or working with a design consultant, this new functionality will ensure that your furniture complements the room the same way your new window coverings do. While our new furniture offerings are sold exclusively online, it’s easy to compare your options. Every product has a detail photo to show texture, depth, and proportion. Not working with a designer but want some expert advice, or another set of eyes to help you with those big decisions? Book with one of our decorators and we’ll come to you, anywhere in Metro Vancouver. Our decorators can tell you about all your options in Hunter Douglas window coverings, designer fabrics and furniture and accessory styles. They know the ins, outs and alternatives that will make your home everything you want it to be. We’ll bring fabric samples and even blinds to your living room. For blinds, drapery, shades we’ll have your windows measured, and oversee the fabrication of every item you order. Then your treatments will be professionally installed. Just point and click! We’ll deliver your items promptly, in most cases within five business days. We want you to love your purchase, but if you don’t, eligible items in their original packaging can be returned within 10 days of delivery. You can read more about how returns work here. To get 10% off your purchase, all you need to do is use the coupon code “anniversary” when checking out and you will receive 10% off your entire order. Hurry, this offer expires September 1, 2018.